Like the poem, parts of the movie are graphic — I’ll warn you. But much like what the poem’s supporters argued during the fracas that ensued following the poem’s publication, the “obscene” words and images in the movie are not used to be lewd and sensational but to describe how Ginsberg saw the 1950s society he was a part of. The part that particularly grabbed me was defense attorney Jake Ehrlich’s closing argument about free speech as shown in the film. 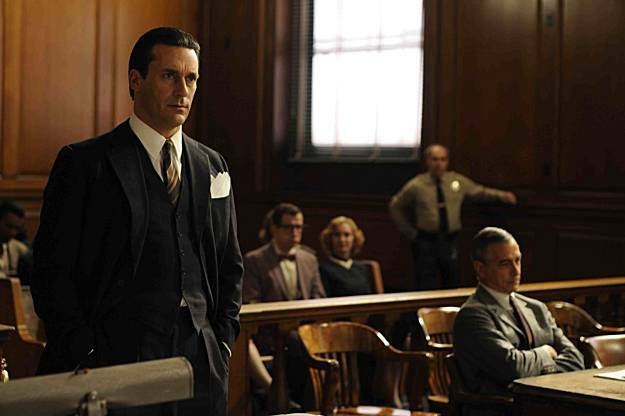 Jon Hamm played Ehrlich in the movie. As the movie’s makers explained at the beginning of the film, every word in the movie was spoken by the people in the film, but I have not yet been able to independently verify that the closing arguments are whole and accurate. It is not for us to choose the words. Mr. Ginsberg, in telling his story, is telling the story as he sees it. He is using his words. There are books that have the power to change men’s minds and call attention to situations that are visible but unseen. 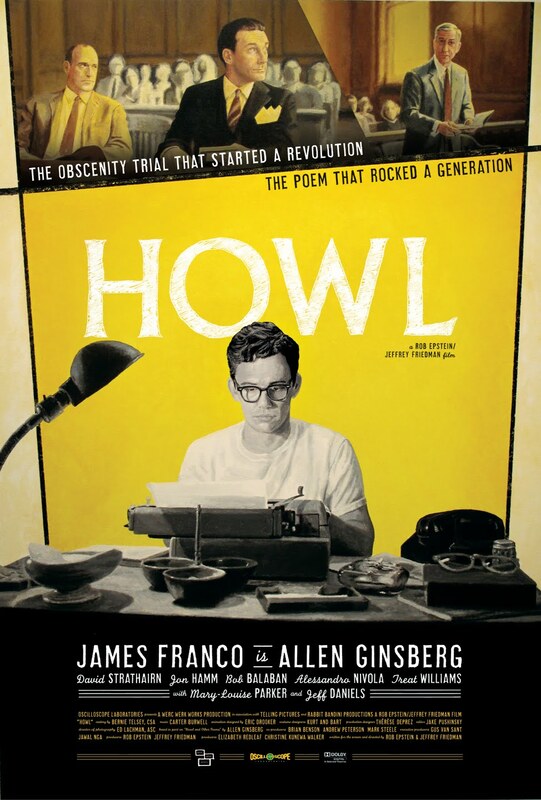 Now whether “Howl” is or is not obscene is of little importance to our world, faced as it is with the threat of physical survival, but the problem of what is legally permissible in the description of physical acts or feelings in arts and literature is of the greatest importance to a free society. What is “prurient”? And to whom? The material so described is dangerous to some unspecified, susceptible reader. It is interesting that the person applying such standards of censorship rarely feels as if their own physical or moral health is in jeopardy. The desire to censor is not limited, however, to crackpots and bigots. There is in most of us, a desire to make the world conform to our own views. And it takes all of the force of our own reason as well as our legal institutions to defy so human an urge. The battle of censorship will not be finally settled by Your Honor’s decision, but you will either add to liberal, educated thinking, or by your decision, you will add fuel to the fire of ignorance. Let there be light. Let there be honesty. Let there be no running from non-existent destroyers of morals. Let there be honest understanding. I enjoyed the debate about free speech in this movie even more than the segments retelling Ginsberg’s poem, though those were moving too. But since the thrust of the movie is about Ginsberg and his work, I’m ending this post with a clip of Ginsberg performing his poem “Father Death Blues,” which is included at the end of the movie during the epilogue. Like many parts of the film, this also took me delightfully by surprise.